With rapid development of national energy-saving environmental protection (ESEP), thermal power plant also starts to energy saving reconstruction. Clean coal combustion technology has been a significant measure for environmental protection, income increment and effect enhancement. The northwest region of China is known to be abundant in coal resource, especially steam coal of high quality, with low surfer, low phosphate and low ash content and high calorific value, which is suitable for pulverized fuel generation. Thus, coal pulverizing project in thermal power plant has great development potential in the northwest region. For a long time, coal-fired power plants account for a major part in power generation market of China. And in the future, coal burned for power production will still be a key point of coal consumption. It is estimated that the ratio of thermal power will continue increasing, and to 54.74% in 2020. As a consequence, China’s coal demand will reach to the peak value at the same year. At present, chain grate stoker is the main type of industrial coal-fired boilers in our country, of which both actual combustion efficiency and boiler thermal efficiency are lower 15% than those of international advanced level. Dust emission, carbon dioxide emission and sulfur dioxide account for about 44.8%, 10% and 36.7%, respectively, of the total national emission. Under the pressure of environmental management, clean and efficient utilization of coal becomes an urgent affair for continues development of thermal power plants. Among various ways of clean and efficient utilization of coal, coal pulverizing is one of significant economic and environmental benefits. Coal pulverizing applies pulverizer and corollary equipment to prepare pulverized fuel efficiently. The prepared pulverized fuel usually is transported to industrial boilers for power generation, heating, steam and hot water supply, which benefit economic and environmental remarkably. Industrial boilers in coal-fired power plants used pulverized fuel for power generation can reduce energy consumption and pollutant emissions. Compared with the traditional coal-fired boiler, the burn-out rate of coal in transformed pulverized fuel boiler is higher than 98%, and the boiler thermal efficiency is above 90%, which over 30% energy saving than the traditional boiler. Besides, dust emission ≤30 mg/m3，surfer dioxide ≤100 mg/m3，nitric oxide ≤200 mg/m3. Those indexes are all lower than state standard effluent discharge, and satisfy the strict environmental requirement of various regions. Now, as action plan of upgrading and transformation on coal power for energy conservation and emissions reduction (2014～2020) has been published, new challenges appears. Three targets, implementation of stricter environmental standards of energy efficiency, acceleration of the upgrading and transformation on coal power and realization of three reductions, namely net coal consumption rate, pollutant discharge and coal occupation of energy consumption, turn to the important basis for the promotion of pulverizing project in coal-fired power plants. It has been a tendency that applying pulverized fuel boiler for thermal power generation. As a significant coal producing area in China, power supply in the northwest mainly comes from thermal power plants. According to relevant data, in the northwest, there are about 46 thousand industrial coal-fired boilers at present, and accounts for 10% of the national total industrial coal-fired boiler. Annual consumption of coal is about 80 million tons, and occupies 11.4% of the national amount. As a consequence, about 1.17 million tons of soot, 0.83 million tons of surfer oxide and 0.96 million tons of oxynitride are discharged a year, and corresponding accounts for 14.9%, 13.25% and 12.3%, respectively, of the emission load of national industrial coal-fired boiler. Under the pressure of environmental protection, each provincial government in the northwest pays high attention to the transformation of coal-fired boiler and actively promotes the technique of pulverized fuel for high efficient combustion. It is preliminary estimated that there are about 30 enterprises for pulverized fuel production in the northwestern five provinces. Besides, many companies in Shanxi, Shaanxi and Gansu and other regions, have successively invested in generation of pulverized fuel, and made great contribution to both the local clean coal production and environmental management. Incomplete statistics shows that in the second half of 2015, enterprises purchased machines from Zenith for pulverized fuel generation and raising its economic performance spread over Shanxi, Shaanxi and Gansu and other provinces. 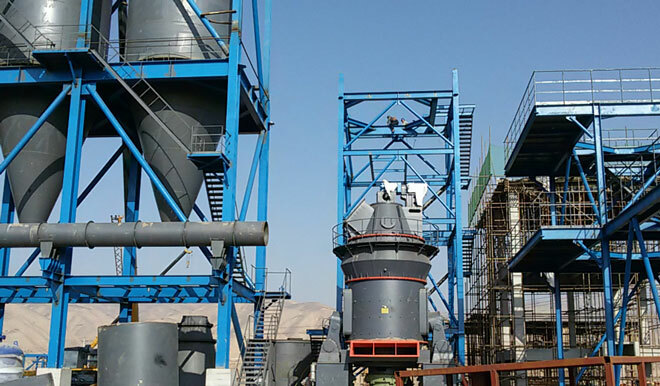 For example, Gansu coal institute has purchased a full set of coal grinding system LM220M coal mill from Zenith to generate pulverized fuel and supply it to boiler for combustion. After raw coal has been ground, impurities associated in the can be fully removed. In addition, pulverized fuel is inflammable as coal particle size is fine, which leads to a huge increase of combustion efficiency. Not only is the fuel usage saved, but also the discharge of harmful gas and dust is reduced. Meanwhile, applying some environmental protection measures, national standards for energy conservation and emissions reduction can be achieved or even exceed. Also, it can bring great economic and environmental benefits. 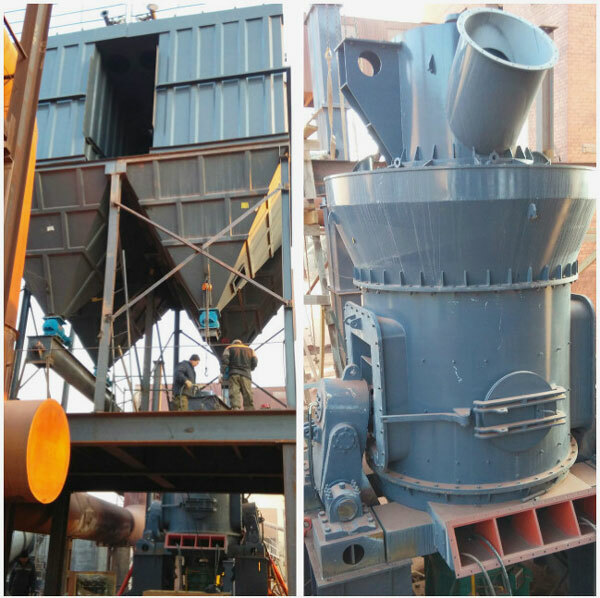 Another client from Gansu province used LM190M/N pulverizer for pulverized fuel and granulating slag generation, realizing dual-purpose successfully. The whole production line is well designed and applies advanced technics, and also passes the verification of coal design institute. According to the nearby resource in Gansu region, the application of LM190M/N dual-purpose line product has been scientific and reasonable planned, that is pulverized fuel can realize high efficient utilization, and granulating slag product can be used as solid waste management. If the abundant coal in the northwest region can be processed and used as pulverized fuel, the environmental pollution, caused by the local thermal power plants used traditional way of coal combustion for power generation, will be released. Moreover, it has typical significance on the transformation and upgrading of coal to realize high economic benefit in the northwest region. Also, the northwest and even the national electric power companies regard this technology as a major breakthrough on the promotion of transformation and upgrading of coal power for energy conservation and emissions reduction. Thus, it has vast development space at present and in the future.